Global change is a threat to biodiversity, the functioning of ecosystems and the provision of ecosystem services in Bavaria. To ensure ecosystem services – such as agricultural and forestry productivity, climate regulation, water quality, pollination and carbon storage in soil and biomass, and biodiversity – sustainable management strategies must be developed and operationalised. We investigate how climate change will influence land-use and land management. 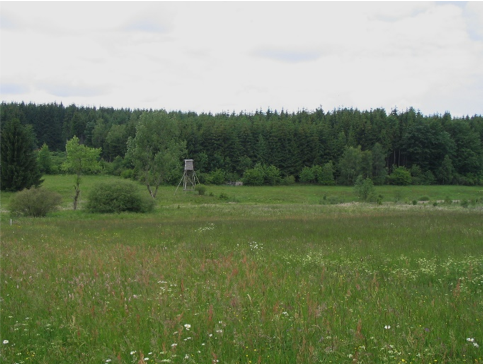 We evaluate the consequences for biological diversity and ecosystem services in Bavaria. We apply the ecosystem model LPJ-GUESS to estimate climate-related changes in growth conditions. These results are used in subproject 4 to develop land-use change scenarios. From these scenarios, we derive estimates on biotope- and species-shifts or extinction are derived. For this, we make use of the unique dataset on Bavarian distribution of species and biotopes. In a “big data” approach, these are merged with the land use scenarios. Production functions are generated that relate land use and biodiversity to ecosystem services. Impact maps are generated that identify hotspots of biodiversity and show the danger of ecosystem services tipping over. Based on our results, possible pathways for a climate-adapted management is developed and discussed with different interest groups.